Now these are really, really cool. If you have an iPhone, you’ll want one. In fact, I’m slightly jealous, though I hear that a Blackberry version is coming out soon enough. 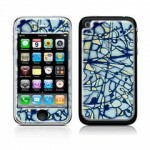 Izozzi skins, art-centric protection solution for your iPhone, featuring artwork from one very cool artist. 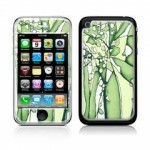 In fact, it’s designed my dear friend and accomplished artist, Ann Haaland, who designed these three gel skins that fit the iPhone 3G/3GS. We have three different designs to give away, one to each winner. (Chosen at random. Sorry, you can’t choose which one you want.) Retail value: $16.95 each. I want one! But I don’t have an iPhone. Waaaah. I have to settle for showing off my friend Ann Haaland’s incredible artistic abilities with these three giveaways. Got an iPhone? Enter now! No need to worry about an izozzi Gel Skin leaving residue on your device when you’re ready to change it out with another. Keep the original packaging for storage as it can be reapplied later! Each izozzi Skin is manufactured with a protective anti-scratch anti-UV coating. By adding this protective layer it is impossible to smudge or smear the design. This also ensures that the color will remain bright and vibrant. Compared to a standard “sticker” skin, their premium Gel Skins give your device a custom 3-D look and feel, offering some serious scratch protection and enhanced tactile grip and feel. Gel Skins are created by applying a clear, high-gloss resin coating over the 3M vinyl, creating a distinctly different appearance and dimension to your device. Additionally, the resin coating adds structural stability to the skin, making installation much easier than a standard “sticker”. Although they “stick” directly to the surface of your gadget, our Gel Skins are no “sticker”. Leave a comment under this blog telling us what you love or hate about your iPhone. Winners will be selected at random by Random.org. Monday, April 26th at noon ET. Congrats! And thanks to everyone who entered. Look for more great prizes at our next Freebie Friday and at the Housewife Awards. What do I like about my iPhone??? Dahling, what is there NOT to like??? iPhone is my lifepartner, my soulmate, my “one”. He never let’s me forget an appointment, birthday, meeting. He wakes me up each morning and then tells me The weather forecast. On my drive to work I can listen to my favorite music or catch up on the latest news. At work, in the medical field, I can time contractions or time CPR compressions. After work, he reads me my grocery list and scans in a bar code of a book I’ll want to downloan on his Kindle later. Then he’ll show me a recipe to cook for dinner that night. Later, after I’ve checked my email and texts, I’ll fall asleep playing Words With Friends. Oh, iPhone, we were made for each other!!!!! Wow. 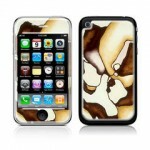 I’ve been searching for a an iPhone cover with a tactile feel that has personality. I’ve been searching for 6 months … looks like I finally found it. I love my iPhone for many reasons! It is my way of keeping up with everything on the go…from my mail to my calendar to the news. (I find out what’s going on in the world on a daily-or hourly- basis trough Twitter.) I love having my pictures of my new little boy with me wherever I go. You never know when you’ll get the chance to show him off. I love having my phone and iPod in one. So much easier than carrying two things always. And, since my son was born in January, the Total Baby app has been a lifesaver. Best place to keep up with diapers, feedings, appointments, growth, and all those important milestones I never want to forget! I love checking the weather, my e-mail and IMDb. But most of all, I love the status I have with my 20s-age grandkids! I hate that my Iphone needs to be charged so much and ATT doesn’t have a plan that doesn’t make me feel like I waste money every month, we always have lots of minutes left and frankly I would be happy with just the data coverage, I could use Truphone or Skype then. I joke that I had a rotary dial cell until I got my iPhone (it was a flat Nokia – no texting, no color display, and I rarely remembered to charge it). 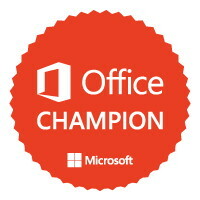 Now, I’m on top of the world with all I can do with my iPhone – email, twitter, GPS, web access, texting …. and, oh, yeah, make phone calls! I love that I can do pretty much anything I want from my iPhone!! I love that I can always check my email instantly. As a mutitasking mom and freelance writer, I love my iPhone. I can check and send e-mails on the go, always have my calendar app to keep me on track, and can do Internet research while waiting to pick my son up from school! I love my iPhone because she is my mobile computer. She is also my sanity when I need my kids to be entertained for a bit. I LOVE my Iphone. I now don’t have to run home just to check my email to see if soccer/Lax/baseball practice is canceled. I also use the irewards app mostly with my 3yo but it also works for the 6 & 9 year old because they can earn stars on the go – I tried marble jars but would forget to put in the marbles once we got home so this allows me to reward them or remove stars wherever we may be. Thanks for the opportunity to win one of these beautiful skins – it will make my cell phone HOT! !